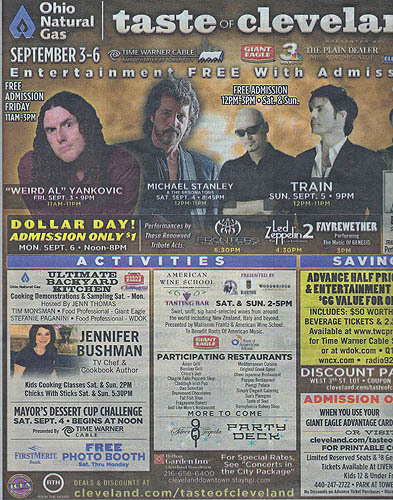 A full-page print ad for Al's September 3, 2010 concert in Cleveland, OH (or rather, for the entire weekend of shows at the Taste of Cleveland). For approximately three months, this performance was scheduled to be the final stop on Al's North American tour that summer. An additional, later show in Stroudsburg, PA was eventually announced.